All of those silly meme sayings are true about today. It's Friday again and it's May too!! Can you believe the summer is upon us? Well I guess not technically ... that won't officially happen until June 21. Craft fairs and a full events calendar mark the beginning of summer for us. Yesterday we kicked off the season with the first Pike Street Stroll! 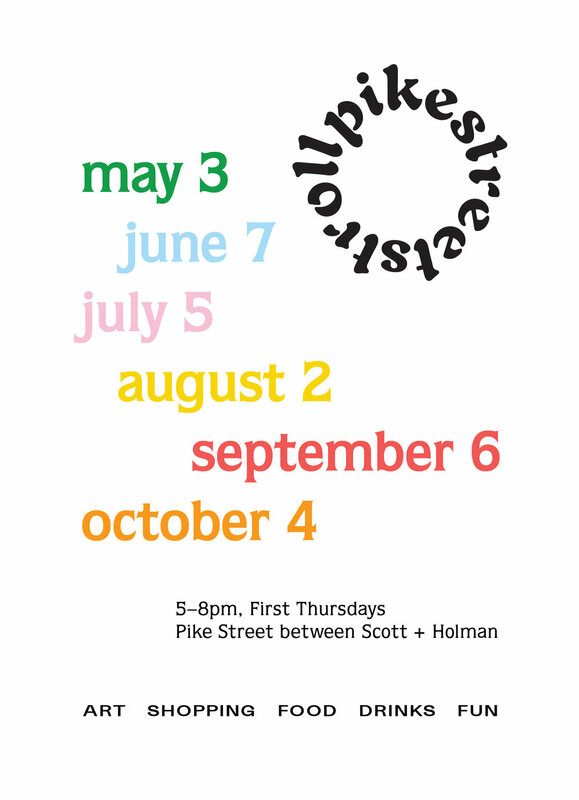 The Pike Street Stroll is a monthly art walk along Pike Street in Covington, KY. The weather was lovely and a lot of the small businesses on our street stayed open! It is small business week after all, so If you came out thank you! If you didn't make it, that's ok because the Pike Street Stroll will happen again on the first Thursday of the month through October! Follow the Pike Street Stroll on Instagram (we manage the Instagram account so it's guaranteed to be cute) or like the Facebook page to stay in the loop about future happenings. Next weekend we will be at Renegade Craft Fair in Chicago and we've spent a good amount of time this week reviewing print proofs and ordering supplies to package all of our new products (notepads, prints, and our pin collaboration with Leigh Ellexson). The weekend following Renegade is the first City Flea (we'll be at all of the City Flea summer markets)! What that means for you is that hours at the shop will be different. We will be closed two Saturdays! When we travel to a fair we have to close the shop because we take most of our products with us. There is also only two of us. Just be sure to check Google to see our hours before heading to Handzy in May! In other exciting news we renewed our Coney Island season passes and are counting down the days until the Sunlite Pool opens on May 26. Our shop is always closed on Monday so that we have a day to schedule meetings or run errands ... but summer Mondays always include a visit to the pool! Get out and enjoy the sunshine! We'll touch base again next week! !